This rare deluxe volume comes in a sturdy carton slipcase. Large format, glossy paper, mostly colour. Works by the three artists Ozuma, Maeda Juan, and Muku Youji, with some introductory comments. This beautiful and very large format book has soft covers, but comes in a carton slipcase. It collects some of Ozumas early work, quite varied in its style. 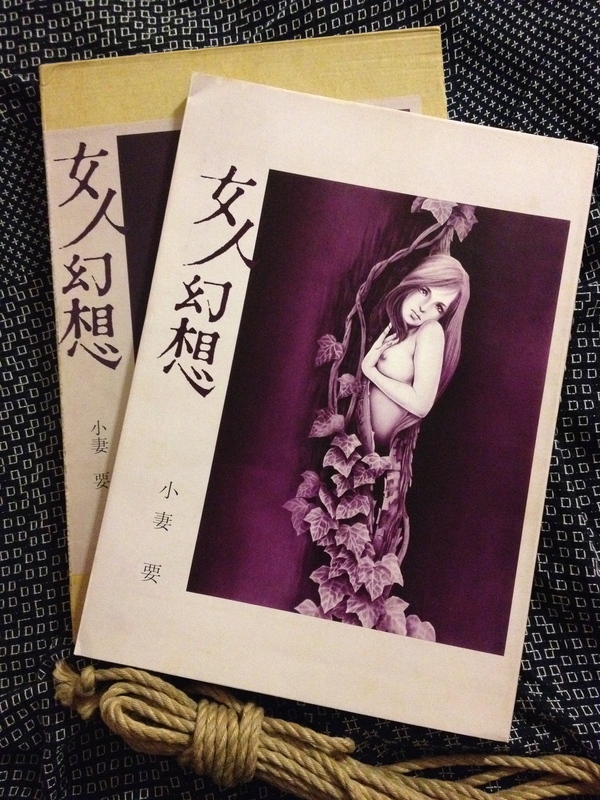 A thick book of images only, collecting many of Ozumas typical scenes with tattooed and bound women. An anthology of illustrations by Ozuma Kaname, Muku Youji, Harukawa Namio and others.